If you are the fans of horror themes about gore and zombies, this band will not be unknown to you. The Spanish quintet GRUESOME STUFF RELISH does reincarnate the best years of horror grind when the world was ruled by the mighty Impetigo!!! 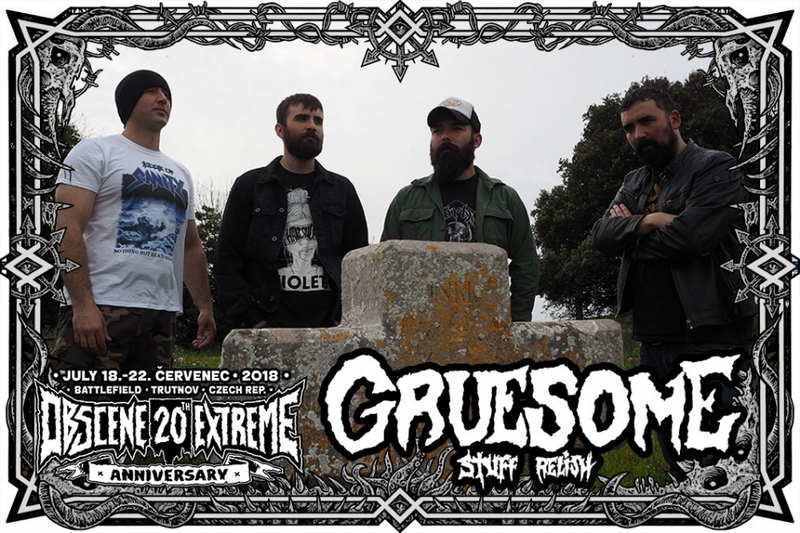 GRUESOME STUFF RELISH started in 1999 on the ruins of a band called Repugnance with a clear vision to play a mix of old school gore grind in the vein of Impetigo or Necrony with the lyrics full of love to the classical Italian splatter horrors. The band has released countless records in various formats and also three full-length albums of which especially their debut titled „Teenage Giallo Grind“ released by American Razorback records has been a great success. The band is also active in playing live and it will be their third time at OEF. We just can't get enough of this great old school gore grind and are happy to welcome them again among the grind zombies at the Battlefield!!! You will be eaten alive!! !